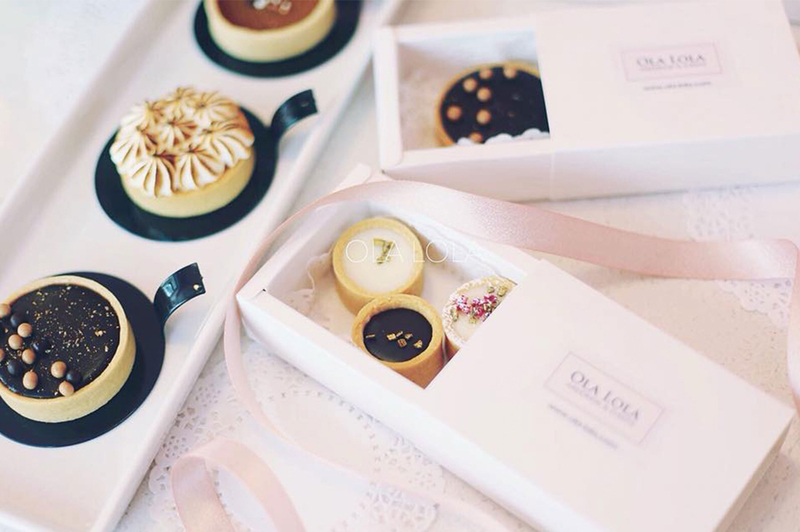 Say ‘Thank You’ to your guests for gracing your event, with Ola Lola. 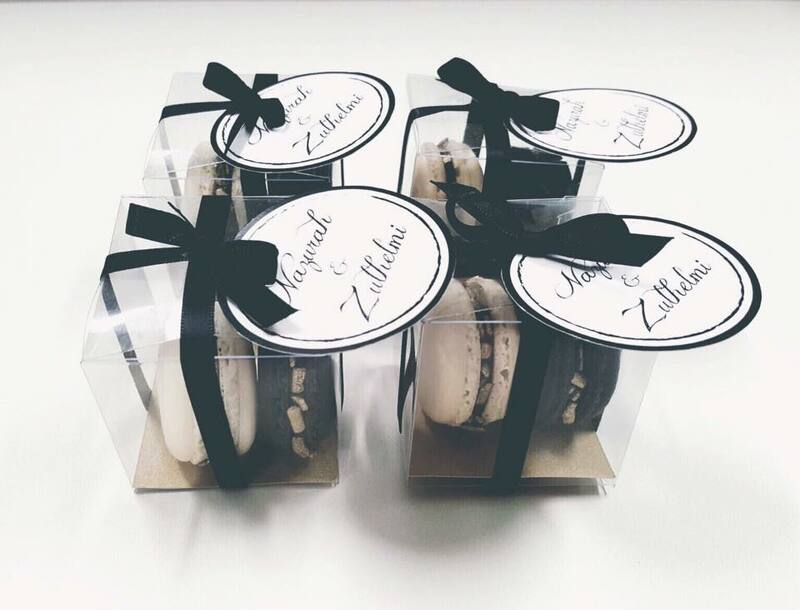 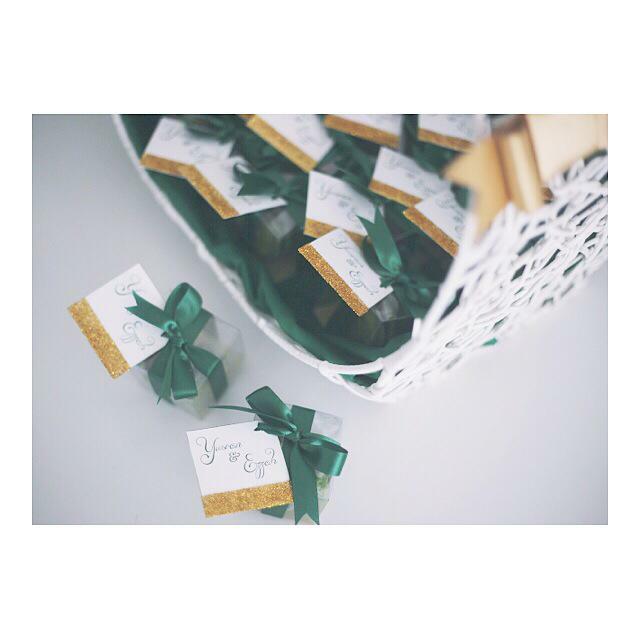 Event favours with ribbon (color of your choice) and a custom tag are going at a $100-off this month. 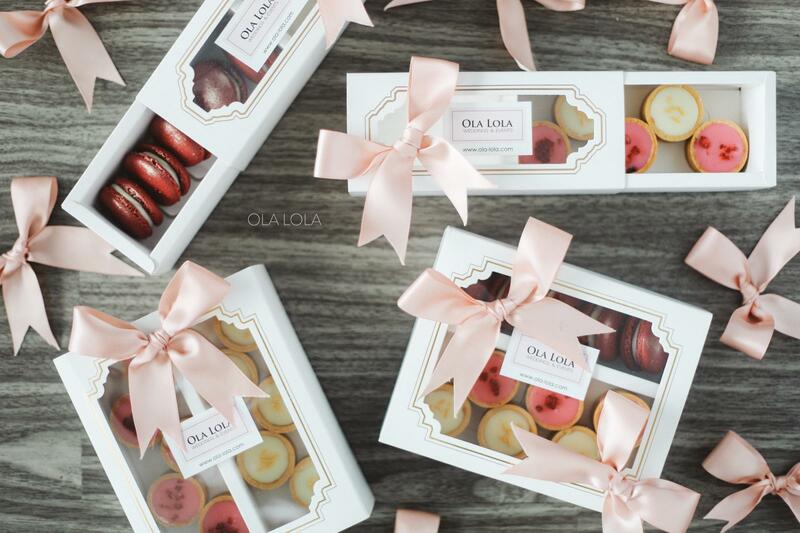 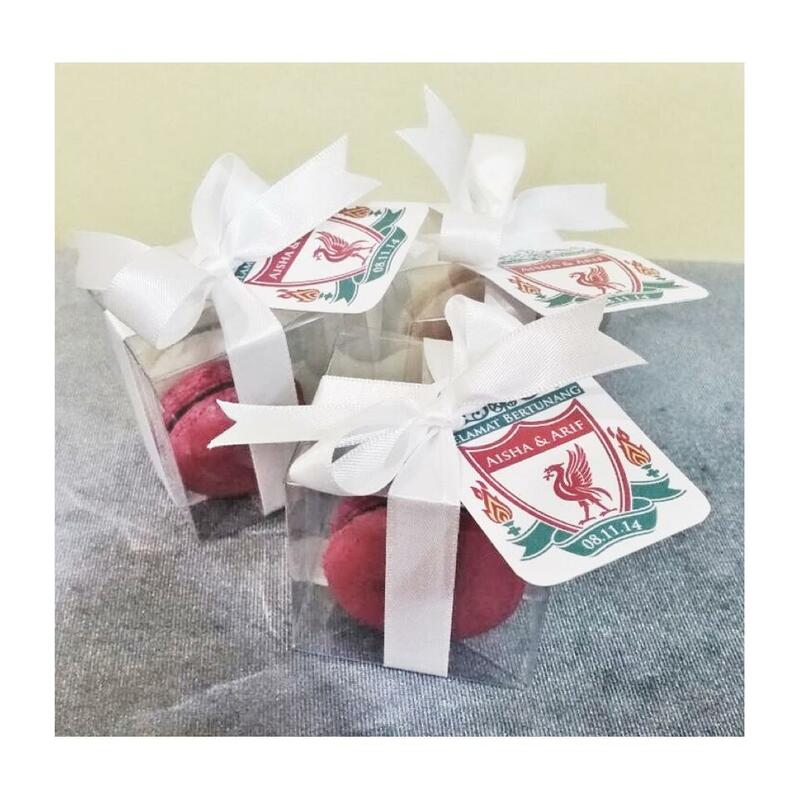 Select from macarons or mini tarts (2-3pcs) for this promo, with a minimum order of 200 boxes.